It is time to get rid of the old-fashioned idea that ballet is an art for little children or young girls. It is time to stop associating classical dance with dolls, little princesses, pink ribbons and size-6 tutus, and stop seeing it as a world that could have been created by Walt Disney. As a young or adult person, you can do ballet simply because you like it, you have always done it, and there is no reason to give it up whatever your age, or because you want to give it a go even if you are no longer a six-year old. You can do ballet the same way you could do yoga or pilates. At Danza Ballet people of all ages take classical ballet, modern dance and barre à terre classes very seriously and with total normality, as it is something completely normal. I saw and experienced this in cities like New York, Moscow and Buenos Aires some time ago, and more recently in Paris. The main goal of the students coming to my classes is not to reach a professional level and constantly improve their technique, although I do come across these aims in some cases. In general, those who come to my classes fall under one of the following profiles. Former dancers who used to take classes when they were younger and have started dancing again, being already familiar with the technique and the dedication required by ballet; and people who have never taken ballet classes before, but who understand that there is no reason to believe that ballet is just for little girls. Once they accept this, they come and enjoy it. Anyone can understand that you can practise yoga without having to become a yogi and live in the Himalayas, or having to be able to bend like a Chinese acrobat and fit into a matchbox. Nonetheless, when it comes to ballet one has to explain that it can be practised without aspiring to become a professional dancer. The aim of my work is to introduce my students to the joyful experience that is studying the art of dancing, and to the enjoyment of music that comes with it. Dancing is an individual activity, even when we are surrounded by people, and one of the first things I teach my students is that it is an exercise in deep introspection. This solitude allows us to connect with ourselves, helping us practise mental exercises leading to serenity of thought, thus achieving a state of calmness and wellbeing, which is more lasting the longer and more often we practise. Zazen? No. Simply dance, but properly done. During ballet classes we must set aside physical or mental relaxation and every distraction. We must learn to find and maintain the correct body posture, strengthen muscle tone and prevent the mind from wandering and becoming distracted. Ballet, barre à terre and modern dance are activities that can be practised, studied and enjoyed regardless of age, once we have understood that some people hope to make a professional career out of it, while others just want to experience a joyful environment, a fulfilling encounter with music, art, culture, and with themselves. Young and adult people can find that place and time of deep enjoyment through dance. This is the philosophy behind my classes and my source of motivation. This is the philosophy of Danza Ballet. 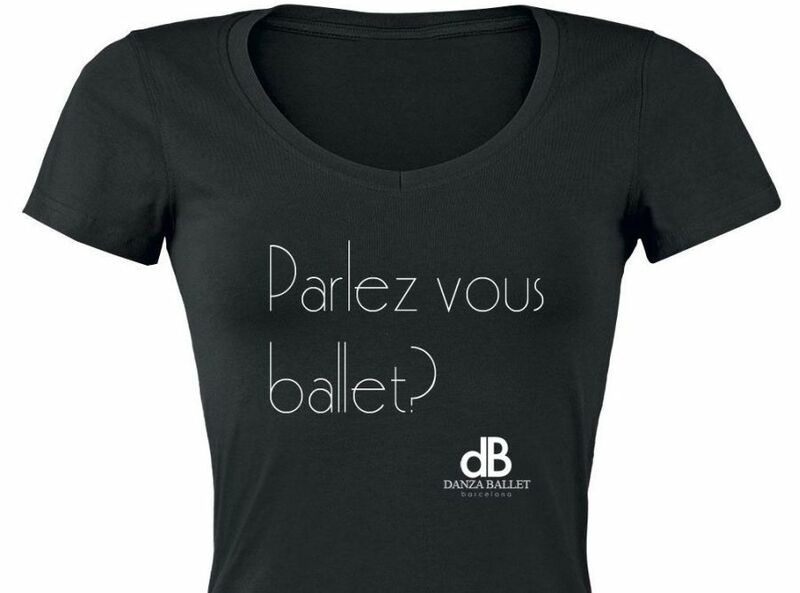 Therefore, being consistent with our way of thinking, we design T-shirts for adults, men and women who enjoy their dance classes and are proud of it. That is the reason why we believe it is important to have a fresh look, miles away from the little-girl style eternally associated with the world of classical dance, a style which is well liked but unwillingly creates a stereotype that limits its scope excluding so many people. For everyone to whom ballet and dance, besides being a source of inspiration and pleasure, have already become part of their lives!